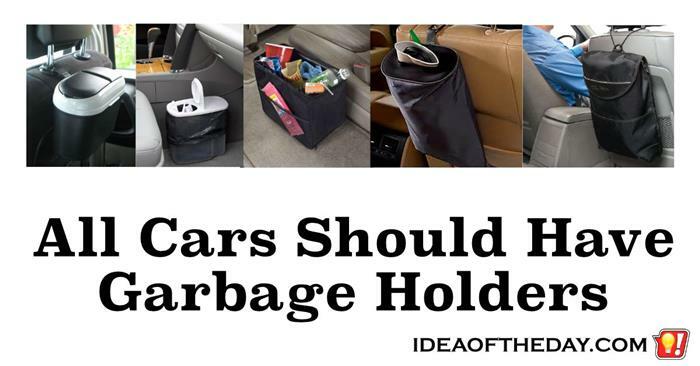 If so many people eat in the car, why don't you see more cars with garbage holders? I remember back in the late 70s, you rarely saw cup holders in cars, but there were quite a few with garbage bins. We had two bins in a 1977 Cadillac, and they came in pretty handy when you had wrappers and other debris to get rid of. As time went by, you started to see cup holders, but somehow garbage bins vanished, along with a few other handy things like window vents. I miss those too. Once in a while you'll see a mini-van with garbage containers, but you rarely see them in cars. Anyone who's seen the mess kids make in mini-vans can understand why some mini-vans have garbage holders, but I think they're just as important in regular cars too. It's bad enough that car headlights don't turn off automatically... at least you can see them when you walk away. The fact is, kids love to play with the buttons and switches inside cars. Inevitably, they hit the interior light and nobody notices it. Actually, you eventually notice it the next morning, when the car won't start. The strange thing is this is entirely preventable. Manufacturers should always use electronic momentary switches, that don't have an on or off position. You just push the button and it turns on, push it again and it turns off. The difference is that the circuit can't be left on. It will automatically turn off shortly after the power is turned off. 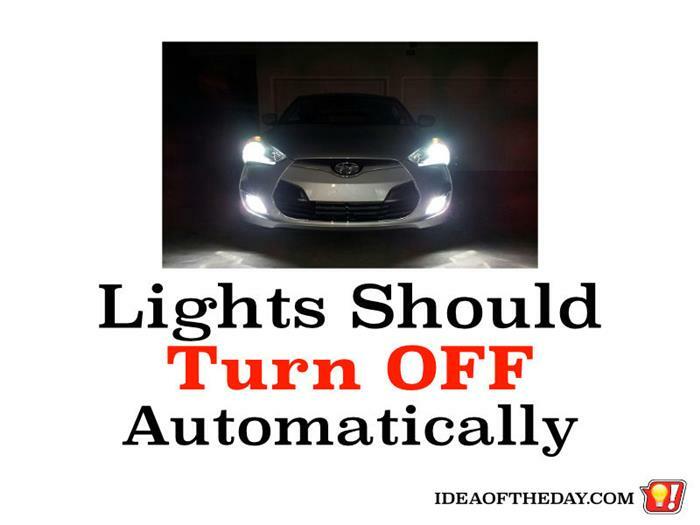 Car Lights... Should Turn OFF Automatically. Today I saw a parked car with the interior lights still on. Isn't this the 21st century? Do I actually need to draw attention to this? Do I need to spell out the solution? Okay. But I'll keep it short. Step 1. Within a few minutes after the car is turned off, the car turns off all the lights. That's it. There is no step 2. I could write a long post about why this is so easy for car makers to implement, how most of the cars electrical system is automated, and how some cars already have this feature... yada, yada, yada. The very fact that the owner of a relatively new car will get up in the morning only to find that his car won't start because somebody left the interior lights on is just plain stupid. Is that car in front EVER going to turn? I know it's a cliche, but we can put a man on the Moon... but we still don't have blinkers that shut off if you don't turn? 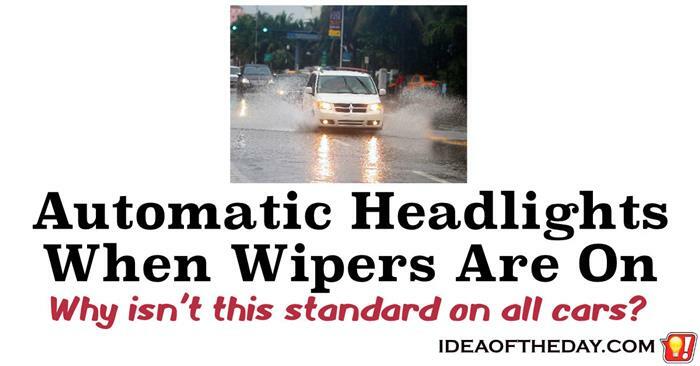 This idea is so simple, it's hard to believe car makers haven't addressed it. 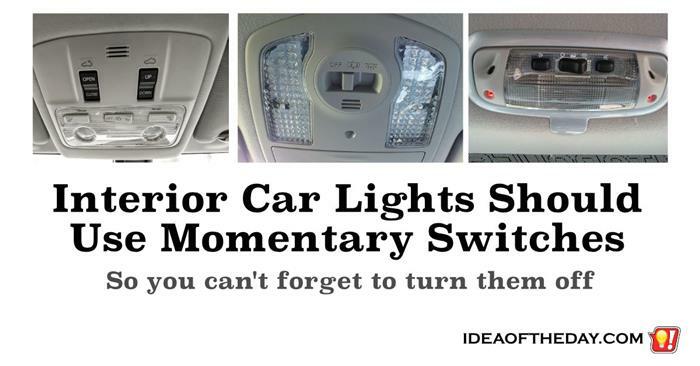 Today's cars still use the same turn signal design that they did when they were first invented. 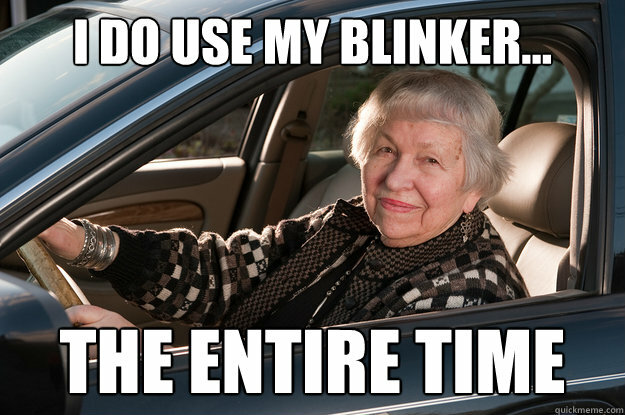 Let's move the blinker into the 21st Century and create a trigger that can turn off if you don't use it for a couple of miles. It may or may not save lives, but it will definitely be safer, and eliminate a lot of frustration.